The Mezzo V2 Fabric Edition is yet another addition to the Arozzi Fabric Chair line up. The new & improved ergonomic chair has a breathable fabric to keep you fresh & cool during long hours of computing. The durable metal frame has extra molded foam providing extra padding to the seat to assure that those long hours are in satisfying comfort. With its variety of user adjustable features like 2 supportive pillows and a deep 165° recline angle, the Mezzo V2 Fabric chair will ensure your computing will be in choice coziness. Fabric Material: Breathable fabric to keep you cool & comfy. 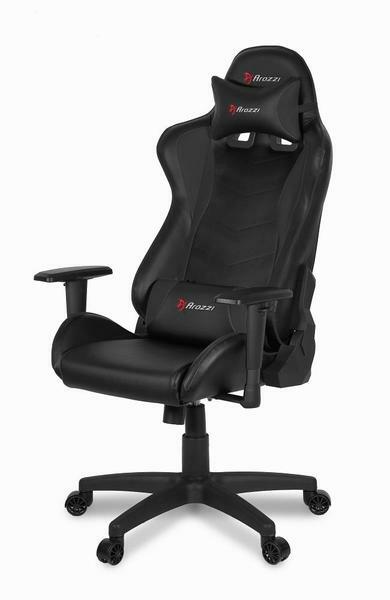 Ergonomic Design: Max comfort with a healthy posture for long-term use. Adjustable Headrest & Lumbar Pillows. Rocking Function: The chair can be tilted up to 12 degrees.